Sirloin is a well known cut of beef and is widely available at the meat counters of butchers and grocers alike. It is a fairly lean cut of red meat with little marbling. As a result, it is less tender and less flavorful than its neighboring cuts in the loin, like the Filet or Porterhouse Steak. However, sirloin steak provides a very versatile cut of meat; it can be used whole, chopped for kabobs, or ground for burgers, among many other potential uses. Check USDA grading when buying your sirloin steak – SELECT grade sirloin will ALWAYS be very chewy and should be ground for burgers. 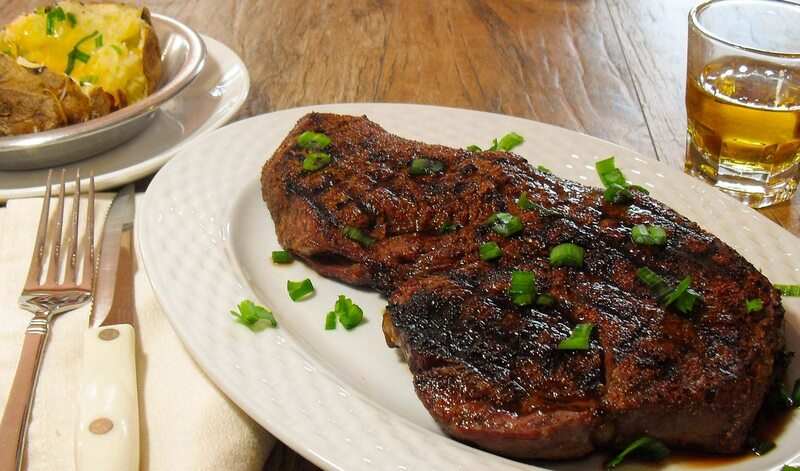 Do not buy Select grade sirloin for grilling the steak for this recipe….just don’t do it. USDA Choice will be a step up and it can be used any time but the Prime grade sirloin steak should be quite tender…you might even mistake it for filet. Check the grade before you commit to any sirloin recipe because it will have a big impact on the outcome….as I mentioned earlier, you will be disappointed if you try to grill a whole select grade sirloin steak. When cooking a “whole,” uncut sirloin steak (typically 1 lb+), I prefer a dry rub seasoning instead of a marinade. When sirloin is in whole form, a marinade doesn’t do much other than make the steak somewhat hard to sear on the grill. I don’t find it adds a lot of flavor, personally. Choice and Prime grade sirloin can be very tender and can apply the same seasoning as a Porterhouse or T-Bone steak. Salt and pepper alone would suit many but our seasoning rub is included in the recipe. You should always cook seasoned whole sirloin steak over a VERY HOT! (600 degrees +) grill to achieve the best results. Also, because sirloin is a relatively lean steak, it should be cooked over direct flame / heat to avoid it from drying out. Cook your meat to your desired internal temp and enjoy.